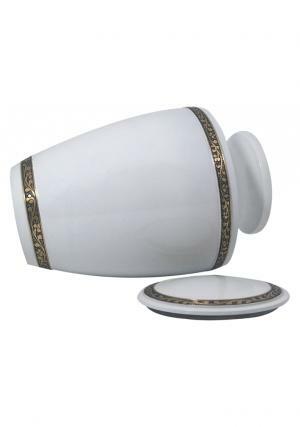 The Brilliant majestic Pearl White Cremation Adult Funeral Ashes Urn is a solid cast brass made urn with the coating of white enamel. 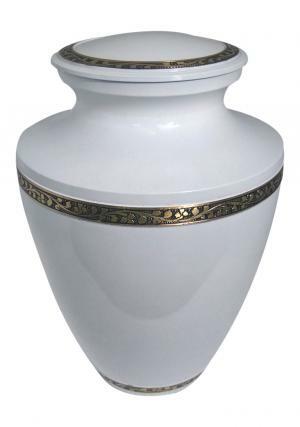 The Big Adult urn feature etching of brass band with creeping floral presence on the urn and lid. 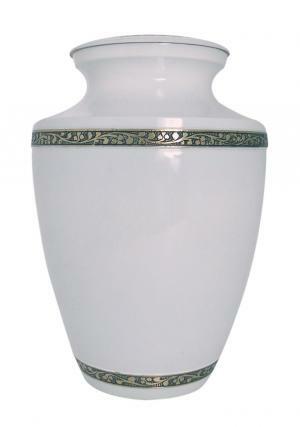 The Adult Majestic White Pearl Urn has a threaded lid for easy encapsulation of ashes into the urn and secure the ashes. 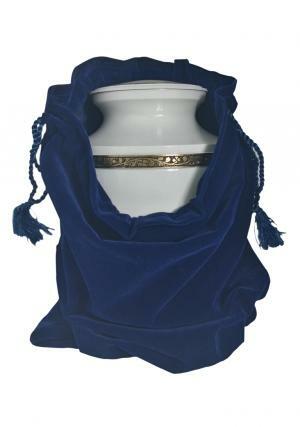 The urn has a sand casting finish with smooth touch. 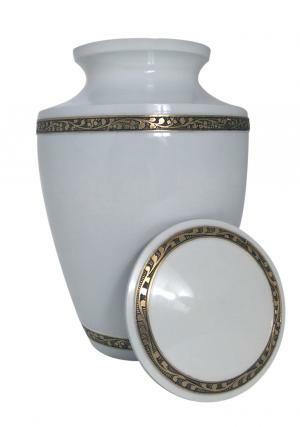 The White Pearl Adult Cremation urn measures to stand 9.9 inch tall, 6.7 inch width and weighs 2.15 kg with capacity to hold 200 cubic inch of ashes.